Martha Antón and Manuel (Manolo “El Gallego”) Salvador were arguably the leading "old milonguero" couple of the canyengue movement in Buenos Aires. Having grown up watching his grandparents' generation dance canyengue, Gustavo Larsen has had an appreciation for the dance and those who have mastered it. 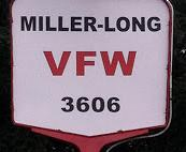 He and wife Vivi were able to receive personal instructions from them in 2014. Later that year, Gustavo conducted a telephone interview with them. It may have been her last interview as Martha pass away on February 8th, 2015. Gustavo graciously has shared that interview. The English translation is post on the "Interview" page. The original Spanish interview will be posted soon. Thank you Gustavo. Casual milonga from 7pm until 10pm. During the late 90's, Viviana and Gustavo, both born in in Argentina, joined a tango instructor from Buenos Aires, who started teaching informally at the University of Nebraska-Lincoln, and then they continued to seek tango instruction throughout the world. 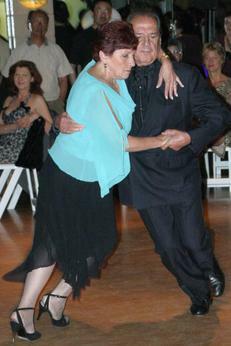 Through the dance, the two remain supportive of fundraising and multicultural activities in the Lincoln and Omaha areas, and organize tango social dancing events in both cities. Viviana is a Spanish major who, for nearly a decade, donated time and resources through her business activities to promote tango. Gustavo is a chemical engineering professor at UNL, who found an entirely different way to connect and share a piece of his culture with fellow Lincolnites. Their goal is to show dancers and spectors that Argentine tango is a dance that intimately connects two people through musicality and movement and ultimately, that it "takes two to tango. 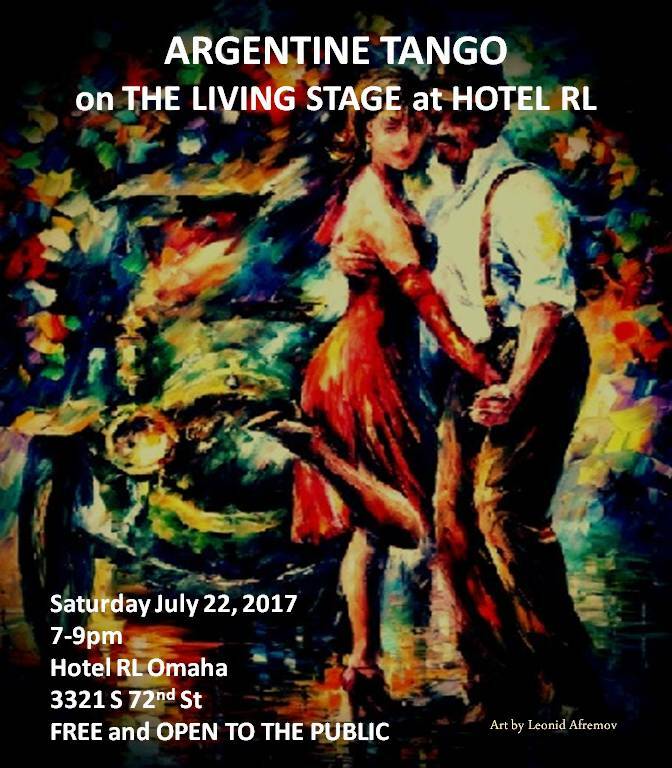 Join Viviana and Gustavo for local milongas; in Lincoln every 2nd Saturday, venue to be announced in Tango Steps and every 4th in Omaha at the Hotel RL , 7-9 PM, 3321 S. 72nd Street! For Weekly Updates about Argentine Tango events throughout the Great Plains Region contact Lincoln Tango Club and sign up for Tango Steps! (It's Free!) Also, if you have an event to advertise, please contact us with the details.